At a Bite Con (2014) panel, Jeff Davis said something that sounded like a request for a wiki-page to keep 'em honest. Why ask a single fan when we can go to tumblr and ask a whole group of them? This list is a fan-created project that contains all the as of S4 unanswered questions as collected from fans on tumblr. These are not inconsistencies as of yet, they are things which have been given no canon, plausible explanation. Inconsistencies are catalogued on a separate page and are items which defy either logic, physics, or previously established canon. Obviously, this page is NOT Spoiler Free. What year will season 5 take place in? When are their birthdays? The dates don't match up between apocrypha calenders and aired episodes. What is the timeline on significant events? ie: When was the Nemeton cut down? When was Paige killed? When was the fire at the Hale house, given that both "six years ago" and "ten years ago" have been mentioned? When did Claudia Stilinski die? ...etc. Or is the Timeline on this page accurate? Does the werewolf bite really kill a person? How did Braeden survive having her throat ripped out, whereas Kate was turned into a werecreature? Do the werewolf eye colors actually mean what we’ve been told they mean or was that just a cover-story? How would there be any way for Derek's eyes to go from blue to gold given Peter's explanation of the meaning of blue eyes? What can and can’t kill a werewolf? What is the difference between a werewolf like the Hales born into a family of them and someone like Scott who is bitten and becomes a werewolf from the bite? Why did Kate become a werejaguar and not a kanima or a werewolf? Bite, mountain ash, kanima-influence... How is Gerard Argent still alive? How could a werewolf produce a werecoyote offspring with a "desert wolf"? Do the Emissaries side with the werewolves or the hunters or just themselves? Are druids and emissaries the same thing? And how do you become a emissary? Are you chosen by the alpha or appointed by some higher power? Do druids have special power or just knowledge about certain things? Is it actual magic or can anyone do this? With the emphasis placed on the role of the women in the Argent family business, what then happened to the Argent matriarch, Gerard’s wife, that he's handling the hunting? Who bit Victoria Argent to turn her? It's implied that Derek did, but the scene shows that he didn't have a clear opportunity. What is Alexander Argent’s importance? As of season 4, where is Gerard? Why is Kate a werejaguar and not a werewolf? Is Peter the person Kate "never expected to trust" -- she does not say it's Peter, it is implied -- or is it a third party? Who made the Berserkers that were waiting for Kate at the temple? As Derek dies and Kate had no hand in bringing him back, is she truely la Loba? Is Jennifer Blake/Julia Baccari actually dead? Is Jennifer Blake at all associated with Peter Hale's Nurse Jennifer from season 1? Why would Jennifer try to get the werewolves to commit suicide in Motel California when they don’t fit into any of the categories she needs for her sacrifices? What is Braeden? How did she heal so supernaturally fast? In season 3b, why did Deucalion send Braeden to find Derek and Peter? Why was Braeden with Satomi’s murdered pack members? Where did Braeden disappear to for a week? Why do they kidnap Peter and Derek in season 3B, since they know more about La Loba than the Hales do? Why are they trying to help Scott and Lydia in season 4? Exactly whose side is that shifty dude on, anyway? Is Morell actually Deaton’s sister or was that just a cover? Why did Deaton make a promise to Talia to look out for Derek specifically? Is Mr. Harris really dead? Who was Harris offering to help when he was negotiating on the tree? How did Cora survive the fire? Where did Cora live after the fire? How did she get there? Who took care of her? Why did Derek talk to Stiles in his dream? In season 4, what did Kate "take" from Derek? What/who made Derek de-age into his younger self? That magic isn't shown and seems awfully complicated for Kate to learn, just to get access to a vault that the kids were able to access just fine on their own later. If Kate can't control her own shifts and needs into the vault for the triskelle, how did she learn to de-age someone? Was Derek being de-aged at all related to his evolution as a werewolf? Was that a necessary step in the process or was it a stumbling block? Why was Derek the only way into the vault? Why did he have to be a teenager to do it? Who gave the information or found out that Derek was losing his powers so they took him off the deadpool? How accurate was Peter’s story about Paige? Why did Peter manipulate Derek into helping get Paige the bite that killed her? Why did Paige bleed black as she died? If it's the body rejecting the bite, why is Gerard Argent still alive and bleeding black? Is there a reason Peter's nurse in season 1 shares a name with Jennifer Blake (aka Julia Baccari) in season 3 or is it just random name choice? If Peter Hale actually has an apartment "downtown," why is he always found at and, for example, spend his downtime reading in Derek's loft? At the end of season 4, what happened to Peter's money from the vault? In season 4, if Peter intended on claiming power for himself, why did he throw the bone dagger to Malia for her to deal the killing blow to Scott? Peter says a werewolf can't claim a True Alpha's power. While this might be sufficient explanation for provoking Malia to kill Scott, why would Peter consider himself inheritor to the power? If Malia is Peter’s daughter, why doesn’t Peter treat her like family? Cora and Derek don’t like Peter, but he still treats them like family, despite not having known them for 6 years, so if Malia is his daughter, why isn’t he trying to win her over like he tried to win over Derek and Cora? How does Peter know so much about Berserkers? The level of aggression Peter displays when he intends to kill and then tears apart The Mute is not the closed fists and throws he uses when he engages and provokes Scott, nor does Peter physically threaten the rest of the pack -- throwing a bench at, but above, Liam. Why has he backed away from exercising lethal force? What does he gain from provoking Scott to 'fight like an Alpha'? Why is Peter so terrified of Valak? Have they met before? Why did Talia take Peter's memory of his child/children/spawn? What else did Talia and Derek talk about that we don’t know about? Is there another missing Hale? What was supposed to have happened on Lydia's 18th birthday that Lorraine would specify it like she did? What is the Benefactor machine for? What did Lorraine program it to do? How does the machine help Lorraine with the problem of her drowned girlfriend? Does it contain just her original list? Did she only create the encryption code? If so, then who programmed the current hit list software? How is it connected to the outside world when it's pre-Internet? What’s the real deal with True Alphas? Is it true their power cannot be taken? Are True Alphas genetic dead-ends? Can they make new lineages or does their pack end when they die? Will all werewolves eventually die out if only True Alphas contain power? When/why did Scott live with his father if Raphael and Melissa broke up because he ran away for hurting Scott? Exactly who's side is she on? Would she really have killed one of her students/patients/both? What is the Nemeton? What does it do? Why was it a threat? Why was it cut down? Who cut down the Nemeton? What does the Nemeton have to do with the telluric currents? What is Stiles' real name? 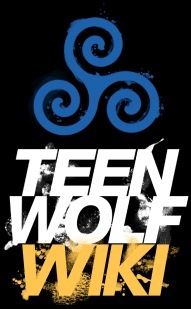 Is Stiles a emissary / druid or something else? Why/how does Stiles know so much about drowning-related deaths? Given the actions of the nogitsune wearing his face at the time, how is Stiles not in jail already? Did Stiles give Jared the box on the bus? Stiles said he ‘remembers everything’ - what exactly does that involve? Only the time of his possession? Nogis thoughts at that time? All of Nogis memories? Was Stiles "dreamwalking" at the end of 3B where Stiles would remember the conversation about dreams with Derek in the locker room? Why did Lydia write Stiles name down on the deadpool list? Is she Malia Tate or is she Malia Hale or is she something else? Why did Malia’s eyes flash blue at the end of Echo House? Why did Malia’s eyes flash white as a coyote? What happened to Mr. Tate? How does Malia end up a Junior in high school if she's been missing from the education system for so long and comes back thinking she's a coyote? How did Meredith control Brunski? Why did Meredith start the deadpool? What prompted her to start it in motion, years after hearing Peter's grand idea? Why was she quiet for so long with it? Why does Jackson "remember" the Hale house fire? How does the alpha control him in season 1 when he hasn't been bitten and isn't a werewolf? How does Kira acquire her skill at weilding a katana so quickly? What kind of kitsune is Noshiko? Was Noshiko telling the truth about Eichen House and Rhys? How does a fox make physical manifestations of its tails? Why are Kira’s tails Shuriken? Can Noshiko regrow her tails? Is she really a Kitsune now? Why were the tails she had Kaiken? What is the meaning or mechinism behind hallucinations? ie: ... Allison sees Lydia thrashing on the bed in the hospital in "Code-Breaker" or her mother in the bathroom in "Frayed." She repeatedly encounters Kate in Season 3A. ... Lydia hallucinates breaking the mirror with her hand in "Abomination" but finds it uninjured when she removes her glove. ... Liam repeatedly sees the Berserkers infiltrating his life in Season 4. ... Kira speaks with her mother in "Smoke and Mirrors" ... etc. What is the significance of the frequency with which the kanima has been brought up post-Season 2 and its bestiary page being laid open in front of Parrish in the Season 4 finale? How did Fenris learn about the Hale vault? As Emily runs from the campsite there's a shot devoted to the tripwire she trips over before she's abducted by the insect swarm. As this could have as easily not been included, does it point to a second perpetrator in the triplicate sacrifices scheme? The shadowy figure hiding underneath the dumpster can be repeatedly heard growling. Jennifer does not growl. Who is this? Season 4, "The Dark Moon"
Where did the pack get the $50,000 to bribe the Calaveras? Was it the $100,000 taken from the Japanese mafia and planted in Chris Argent's apartment that was confiscated by the federal government? Why do Deaton and Lydia appear to the de-aged Derek with glowing eyes and black energies streaming off them? How did Malia "hear" that Scott was coming to talk to Peter in order to show up at the foot of Derek's loft? Who told her? Who unlocked the safe in the Vault prior to the enacted heist? It opens without resistance or damage. Does it actually require a Hale to open the Vault? Does Malia, who skillfully turns the dial, otherwise know how to open the Vault? How is the machine on the Internet? How does it send text messages? What exactly did Lorraine create, just a list, a computer program, an encryption algorithm? Why did she put her list into a computer? Who connected the computer to the banking system? Who changed the list in the machine? Who checks the proof of death images? Are they sent to the machine? Who made the wifi printers around town print out the deadpool? Season 4, "Smoke and Mirrors"
Did Peter in fact know the Berserker they were fighting was Scott? Are they really Berserkers? They did not act like mindless killing machines as Chris described them in 'Letharia Vulpina' because they were so easily controlled by a third party, so was the description wrong or were they something else? Why do the Berserkers disappear into dust, like they never existed at all, like the Oni from 3b?